TRADITIONAL Unionist Voice leader Jim Allister has dismissed claims he is to retire, telling his party's annual conference that "it's not time for Jexit". 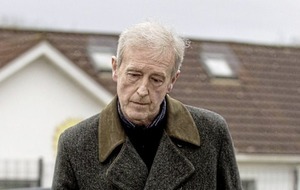 Speaking at the conference in Cookstown on Saturday, the North Antrim MLA said he was instead focused on building for the 2019 council elections, and on "shining a light" on Stormont's "dark secrets". First Minister Arlene Foster said last month that Mr Allister (63) was heading for retirement after the party's poor performance in this year's Assembly elections, which saw only Mr Allister elected. 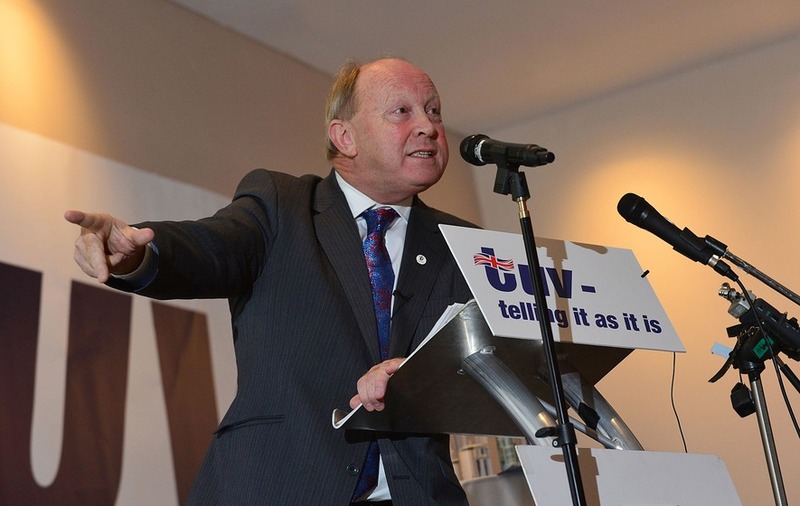 The TUV leader has not confirmed whether he will stand for next Assembly elections in 2021, but quipped: "It seems it's not yet time for Jexit but happily it's time for Brexit." 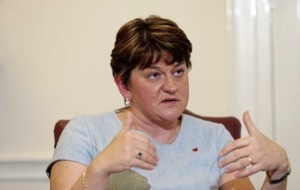 "I will continue to shine the spotlight of exposure into the dark corners of Stormont." 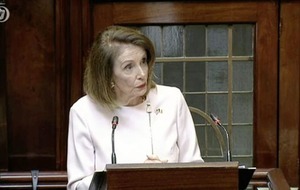 In his eighth conference as leader, Mr Allister said 2016 would "go down in history" as a year when "people rose up to retake control of their destiny." "2016 was our year of liberation from the shackles and torments of the EU," he said. "An uprising of true patriots, a bloodless revolution that will set our nation on course to be great again - spending our own money, deciding our own laws, being subject to our own courts and making trade deals that suit us." In a swipe at the controversy surrounding the allocation of Social Investment Fund money to Charter NI, Mr Allister said businesses have to go through "endless hoops" to get government work but "not if you're a front for a paramilitary group." Mr Allister also hit out at the First and Deputy First Minister for their appointment of David Gordon as the new Stormont Press Secretary. 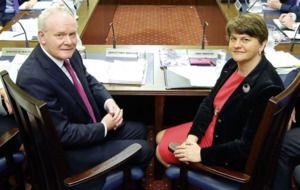 The TUV leader said Mr Gordon would be tasked with hiding "uncomfortable truths under the carpet." 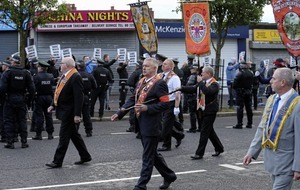 The MLA also hit out at the ongoing influence of paramilitaries on daily life, citing the example of an estate in east Belfast where he had been informed that "a certain gentleman calls every week for the security payment." After appearing at the doors in a suit on one occasion, Mr Allister said the man replied: "Oh aye, I'm going to a police liaison committee this afternoon."